Conventional self-assembled polymeric micelles typically lose their loaded drugs after systemic administration. 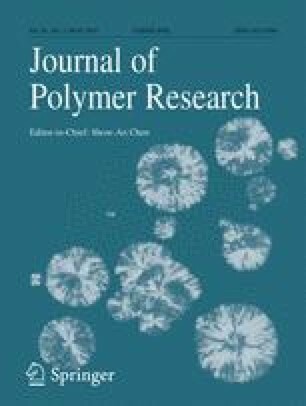 To resolve this issue, the aim of the present study was to develop a novel polymer, methoxy-poly (ethylene glycol)-block-poly (d, l-lactic acid) grafted with four lipoic acids (mPEG-PLA-(LA)4), to prepare curcumin-loaded core cross-linked polymeric micelles (CCM). Nitrogen and alkalescent buffer (pH 8.5) were beneficial for cross-linking, and the cross-linking was nearly complete within 30 min. The micelle preparation parameters were optimized through both a single-factor experiment and orthogonality test. The choice of cryoprotector had the most important effect on micelle solution reconstruction and almost challenged our perceptions about cryoprotector. In addition the drug loading capacity greatly affected the stability of micelles. Moreover, a method for determining the cross-linking density was established, and the result of gel permeation chromatography indirectly demonstrated that dozens of polymers had successfully formed CCM. The CCM significantly enhanced stability under non-reductive conditions and could be reversibly broken in a reductive environment. Curcumin-loaded CCM also showed glutathione-response cytotoxicity to cancer cells. Overall, this fundamental study suggests CCM as a potential carrier for achieving improved controlled drug delivery. This work was supported by the Shanghai Leading Academic Discipline Project [project number B505]; the National Special Fund for the State Key Laboratory of Bioreactor Engineering [grant number 2060204], and the National Natural Science Foundation of China [grant number 81673969]. The authors declare no completing financial interest.